JISS President Prof. Efraim Inbar says Israel must exact a higher price from Hamas to ensure quiet, including targeting the leadership. The question of how to deal properly with the security situation in the Gaza Strip diverts the Security Cabinet and creates quite a few tensions and accusations within the government. We discussed this issue with Prof. Efraim Inbar, President of the Jerusalem Institute for Strategic Studies. "You have to understand that Gaza is a chronic disease that does not have an immediate solution," said Prof. Inbar. "Hamas in Gaza will not disappear,. We have no interest in bringing down the Hamas government because the price will be large and in a short period a new generation of leadership will emerge. Hamas is popular among the Palestinian population and it must be remembered that it also came to power democratically." "Therefore, we must deal with the problem of Gaza without hoping that there will be an unequivocal solution for the long term," he said. Does this mean that Israel will have to accept a Hudna [ceasefire], even though this is a temporary move according to the historical-Muslim world view? "We want quiet from the Gaza Strip, and in order to achieve this we have to charge a price from Hamas so that they will have an interest in maintaining quiet. They love to kill Jews and cause damage to the State of Israel, and we must prevent this by creating pain for Hamas. 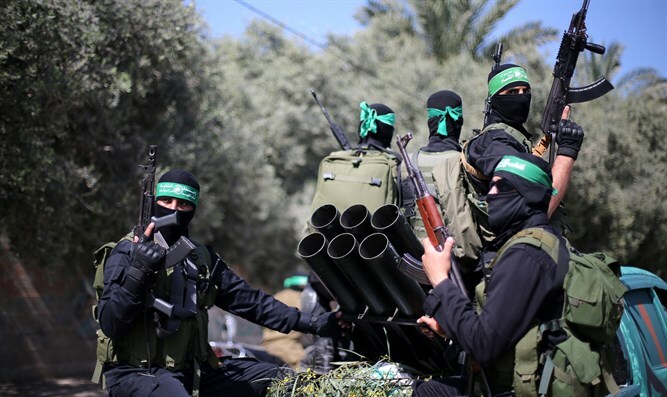 Apparently Israel has not caused enough pain for Hamas when it stops." As for the pain that Israel has to deal to Hamas, whether in the civilian or leadership sectors, Inbar says: "Hamas cares only a little about the civilian population, although it is not interested in a humanitarian disaster and therefore will stop the fire when we are close to a humanitarian disaster. They are always on the threshold, both by using force against us and by their ability to bear the pain we cause to the economy and the Gazan citizens. We must cause pain to the organization itself by military or civilian means, and unfortunately the IDF does not show enough creativity to cause the same pain." Is it really the IDF's responsibility to discover this creativity, or does the cabinet and the political leadership have to outline to the IDF the creative directions in which it must act? "I think that if the IDF had offered the cabinet creative ideas, the cabinet would have responded. In the end, it is the cabinet that accepts the proposals the IDF offers, and therefore the duty on the IDF is to offer ideas that will hurt Hamas." Prof. Inbar was also asked if the strategic considerations facing the future leaders in making decisions on such issues should also take into account issues such as international political pressure, Israel's position in the world, proposals to send an armed multinational force to resolve the tension, and so forth. He replied that such factors are part of the fabric of considerations before making a decision. "Unfortunately, we are not a superpower and we can not do what the Americans do in Afghanistan or the Russians did in Chechnya, which are considerations that must be taken into account. But still, considering the same considerations, there is room to collect a higher price than Hamas." Inbar's opinion, in the context of the painful price that must be collected from Hamas, includes assassinations of terrorist leaders. "Assasinationss are something that should be thought of. Hamas leaders should know that they are on our list of assassinations."